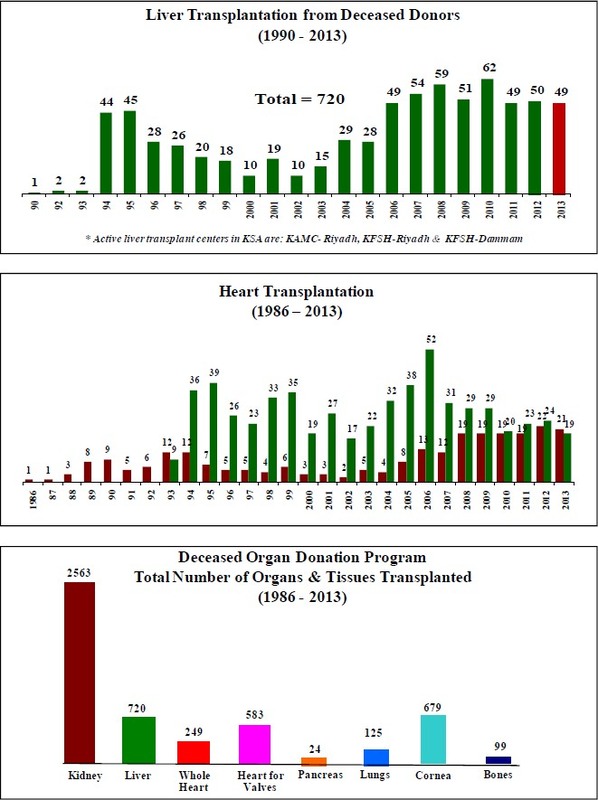 There were 570 deceased heart beating cases (possible donors) reported to Saudi Center for Organ Transplantation in the year 2013 from 92 hospitals with intensive care units. 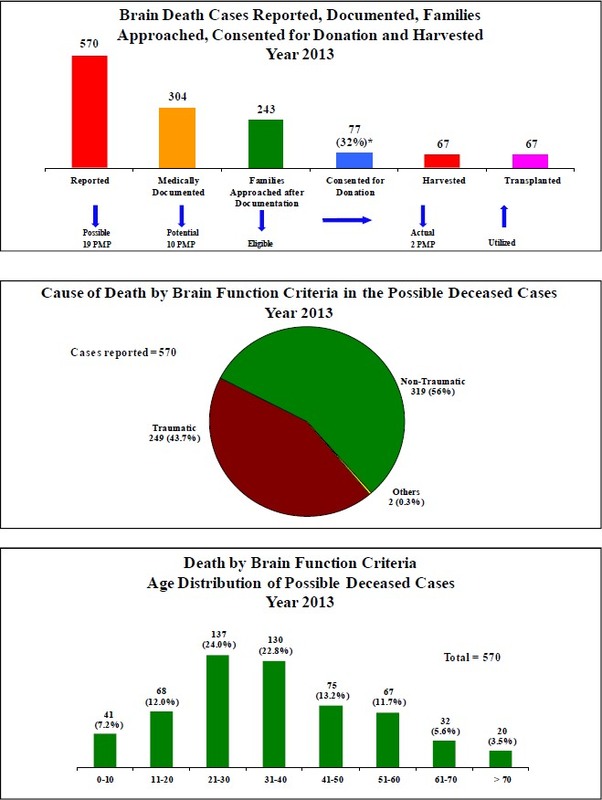 Of this total, 304 cases (53%) were fully documented to have irreversible neurologic determination of death (potential donors) according to our National Protocol. 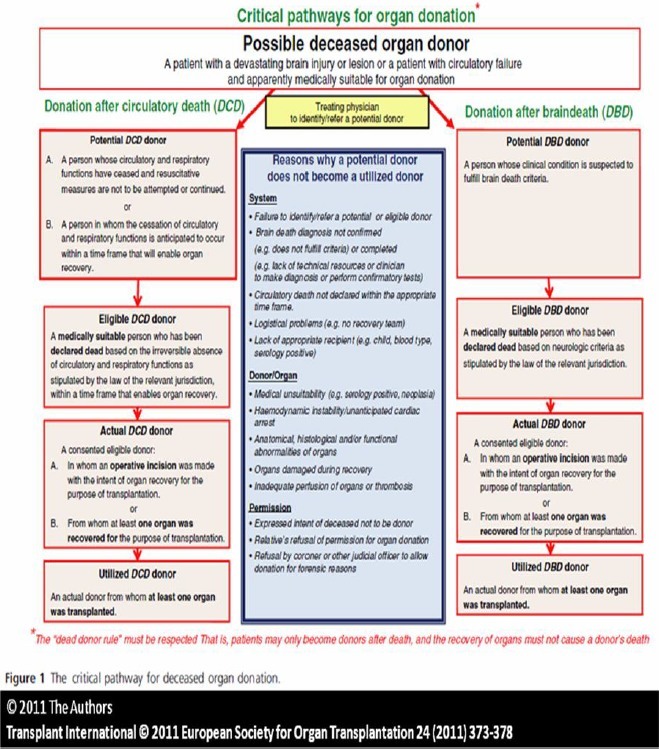 Families were approached in 80% of the potential donors (243 cases), and consent for organ donation was obtained in 77 cases (32% of all diagnosed and approached cases where the families could be contacted and the issue of donation was discussed). On the other hand, family refusal to donate organs constituted 68% of the family approached cases. 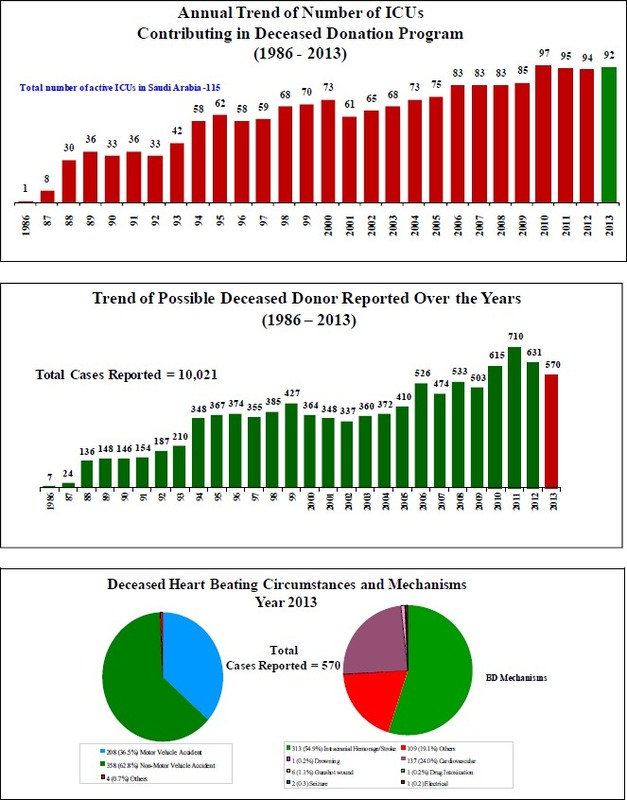 Out of the consented 77 cases, organs of 67 cases (87%) were successfully harvested (actual) during this year. 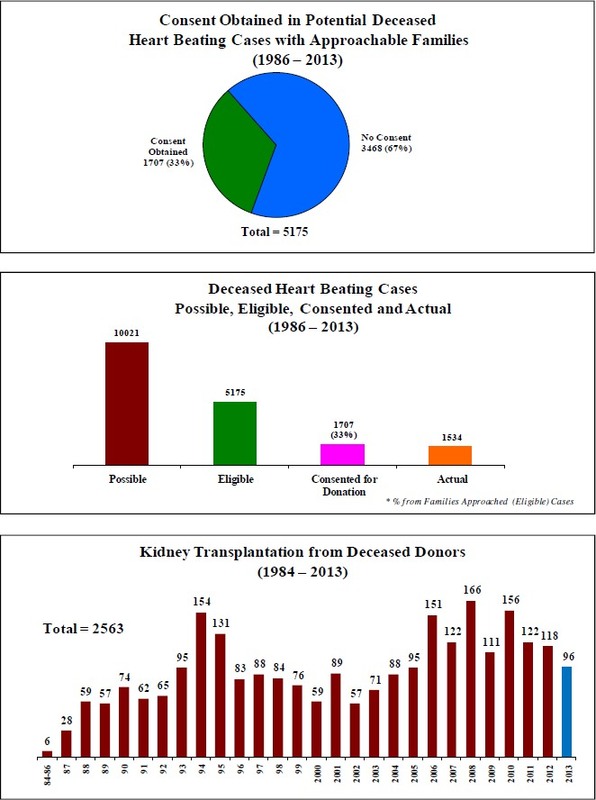 Regarding organ transplant activities, there were 96 deceased kidney transplantations done this year (distributed between nine government transplant centers). Forty nine deceased liver transplantations were also done (at King Abdulaziz Medical City (NGH) - Riyadh, King Faisal Specialist Hospital & Research Center - Riyadh, and King Fahd Specialist Hospital - Dammam). Beside that, 21 whole heart transplantations were performed in addition to 19 hearts used as source of human valves. Three single lungs and 28 double lungs were also utilized this year in addition to six pancreas transplant operations. The number of corneal transplantations performed in 2013 still reflects the continuous dependence on corneas harvested abroad. There were only 16 corneas harvested from local donors this year. In conclusion, despite the achievements realized in the number of organs utilized more efforts, through various media, are still needed to boost the organ donation and transplantation activities in the Kingdom. Stress on health education to the medical community and increasing public awareness about the importance of deceased organ donation and transplantation should still be continued.